The Royal College of Veterinary Surgeons (RCVS) is warning the veterinary profession not to employ Peter Keniry as a veterinary surgeon, see photo below for visual identification purposes, who has repeatedly and fraudulently practiced as a veterinary surgeon in the UK. Keniry (pictured right) recently served over one year’s imprisonment, following a three-year prison term handed down at Taunton Crown Court in October 2017. Keniry was convicted for fraud by misrepresentation, using a legitimate registered veterinary surgeon’s details is his modus operandi to perpetrate the fraud. 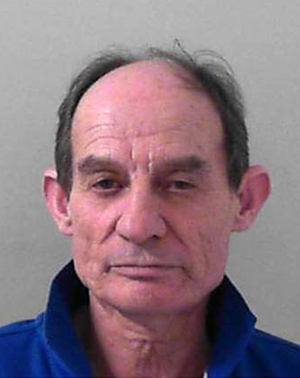 We played a proactive role in Mr Keniry’s arrest and trial after our Chief Investigator, Michael Hepper, was alerted to the fact that he was working at a veterinary practice in Somerset. “Mr Keniry was known to the RCVS as we have assisted in previous police investigations into him for similar offences. Mr Keniry has impersonated legitimate members of the veterinary profession using fraudulent documentation and this is why we have published photographs of him to raise awareness with veterinary practices and to try and stop him being employed in the future”, says Mike. Keniry has since been released from prison and, given his history of repeat offending, the RCVS urges the profession to be aware of his identity and be attentive and go through due diligence when hiring new veterinary surgeons. “Whilst we acknowledge that convincing fraudsters like Mr Keniry can be very difficult to prevent, we would urge veterinary practices to be vigilant. For example, it is recommended that potential employers contact the RCVS Registration Department to make checks, always interview a potential employee face-to-face, ask to see supporting identity documents, prepare questions which confirm where and when they studied, and obtain references. If they are employed, it is wise to mentor the new member of staff to oversee their performance”, says our Registrar Eleanor Ferguson. Cases such as that of Peter Keniry are extremely rare, with around 25,000 veterinary surgeons registered to practise in the UK who are fully trained professionals dedicated to upholding and improving the health and welfare of animals under their care. We do not believe that the unprecedented actions of one fraudulent individual should, in any way, undermine the confidence and trust that animal owners place in their veterinary team.